Doodle Studios weaves a montage of emotions, love, and memories with the wedding film of Vishal and Henna set in Shangri La Hotel, Chiang Mai, Thailand. Vishal and Henna’s destination wedding at the magnificent Shangri La Hotel, Chiang Mai in Thailand was an extravagant celebration of their romance. 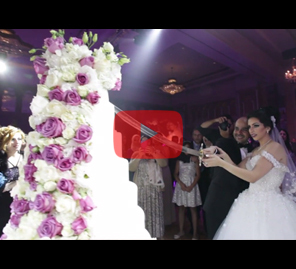 Their wedding film, shot at the magnificent Shangri-La Resort in Muscat, brings you every sparkling moment of emotion, grandeur, and impeccable style. The story opens with a sweeping panorama of the beautiful sacred temple where the couple seeks blessings as they embark on a new journey together, the jewel that is Chiang Mai in the backdrop. 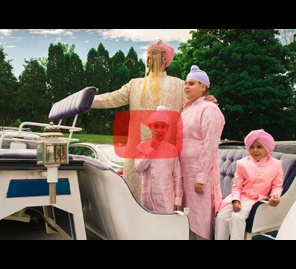 Shot by Doodle Studios, it’s a breathtaking teaser of the theatrical extravaganza to follow. Then it’s time to meet the families – as Henna’s mother reminds her of the love and blessings her grandparents left behind for this beautiful bride, Vishal promises to cherish her for the rest of their married life. High on emotion, the wedding video then gathers pace as we’re allowed to partake in the grand celebrations – engagement ceremony, colorful performances, traditional wedding rituals and fun. From the epic baraat to the solemn pheras, the one constant is the familial bond, captured in every frame. Love is bigger than the sum of its parts and you know a union is inspiring when the wedding speeches make you cry. Keep the tissues handy as the bride and groom’s father and Henna’s sister make an emotionally charged display of adoration. The stunning landscape of Chiang Mai, the beautiful hotel and the interesting architecture make for a dramatic backdrop to the montage of personal emotions and happiness captured with tenderness by the film team. But this wedding wasn't just about happy tears; it was also about having a whole lot of fun! Vishal and Henna's reception was packed with guests who danced through the night. 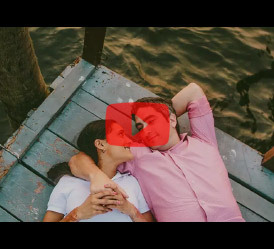 Long after watching this montage of picturesque Thailand, glamorous setup and personal and moving speeches, we are still feeling the love of these two wonderful people.